I like to hunt different states each season. This year I’ll hunt Alabama, Ohio and Kentucky. Last year I hunted at Leavellwood Lodge in Alabama. I'm the call team manager for American Strutter Calls out of Northport, Alabama, which is not far from the Lakes at Leavellwood. 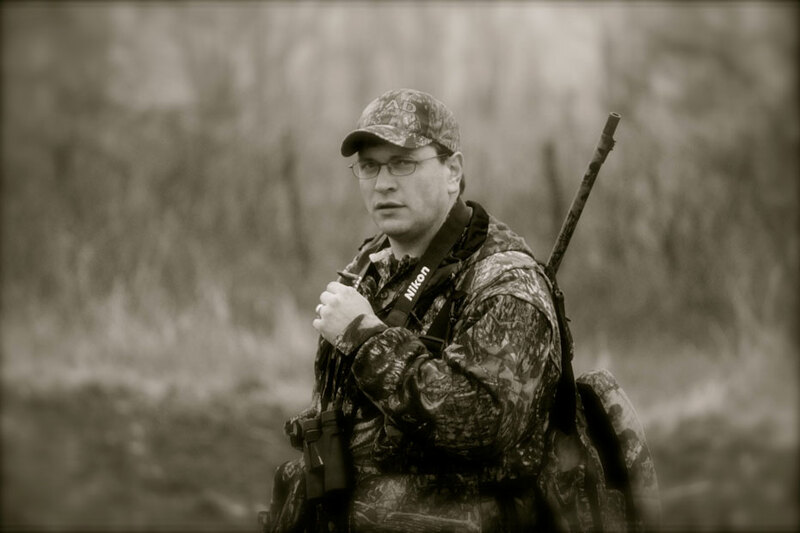 My favorite spring call is the Jesse Martin Signature Series Ghost Cut that’s sold by American Strutter, of course. I designed that call, and I build all the mouth calls for American Strutter. The ghost cut is cut out of the diaphragm call. 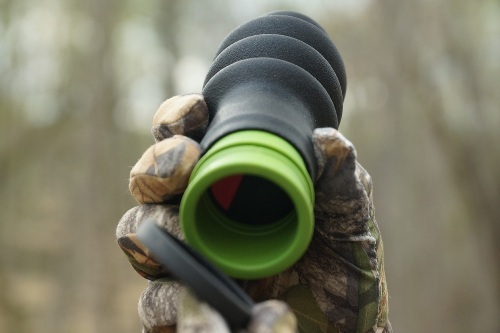 This call is designed for people who blow a diaphragm call straight down the middle of the call. I can produce any sound that the wild turkey makes with the ghost cut. I can cutt, cackle, soft call and make any other hen turkey sound. There is a difference in calling for competition and calling real turkeys. 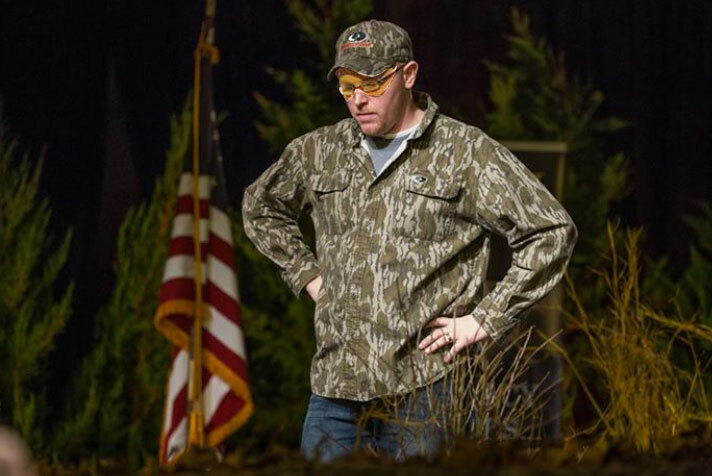 In a turkey-calling contest, I can’t make a mistake. I have to call perfectly. But in the woods, I can make mistakes, and those mistakes sound just like a hen. 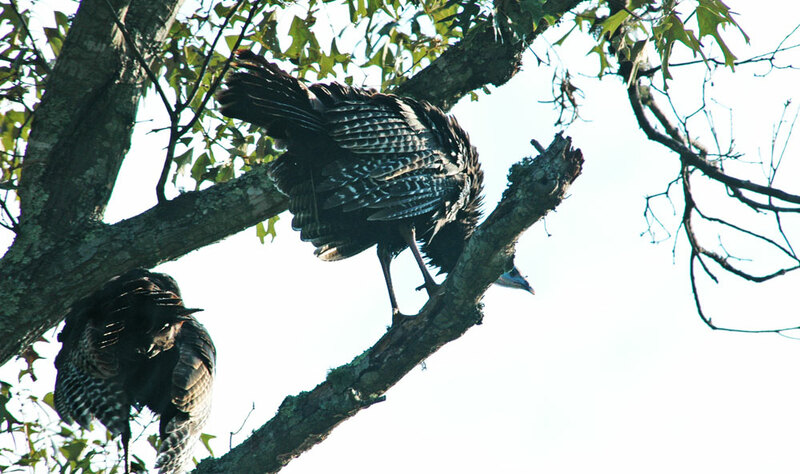 Wild turkey hens are sloppy callers. They couldn’t win a turkey-calling contest. For instance, when a caller is on stage, and he’s supposed to give a cluck and purr, if he adds to his cluck and purr a whine, a whistle or a feeding purr, an inexperienced judge may think the caller made a mistake. So, when you're calling for the judges, you have to give only the calls they want. You can’t add in those little subtle sounds that a hen often makes when she’s clucking and purring. If you give a really clear call without any rasp in it, this is another thing that a real turkey does that a judge may deduct points for, because many judges believe that all hens have a little bit of rasp in their calls. But I've heard some hens call as clean and as clear as it’s possible to call. If you give a plain, clear, two-note yelp and shut up, a judge is probably not going to score you very high. But in the woods, I've heard plenty of turkey hens give plain, clear, two-note yelps and hush. You’ve got to remember that in a turkey-calling contest, the judge scores the caller on what he personally thinks a hen sounds like when she’s calling. Turkeys don’t just yelp. They’ll yelp, cluck and whine. They’ll give single-note yelps and two-note yelps or go into a series of four or five yelps. 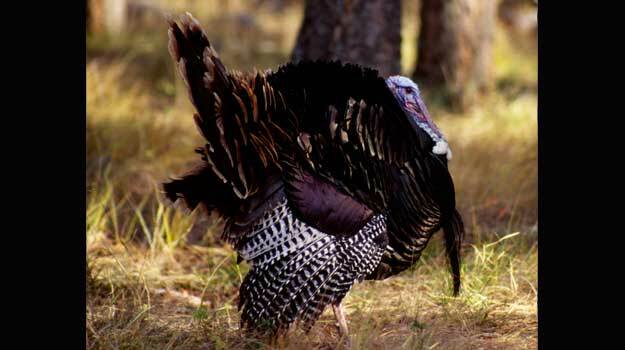 Calling turkeys in the woods is easier than calling turkeys in a competition. Decoying and calling doves really became exciting. 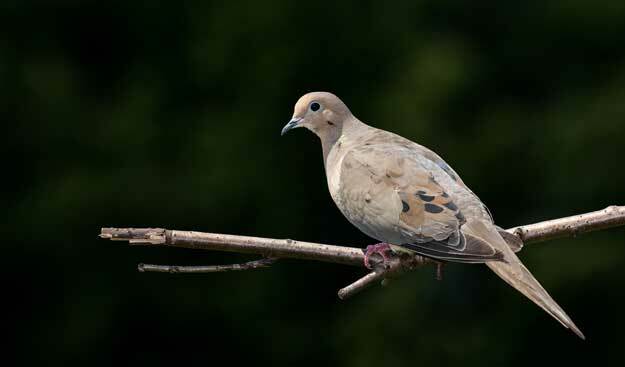 Although I knew I hadn't mastered calling, I found out I could work mourning doves in to range. And the satisfaction that came from good calling and decoying welled-up inside me. I realized that I could work doves around water in the same way that I could work waterfowl over water.